We AI about 75% of the cow herd at Double M, using bulls in Genex's Progeny Test. This just means that we use unproven or young bulls, and breed them to cows along with a reference or proven sire. We keep data on all of the calves, and turn that into Genex. Because we're mating across a large population, and using a reference sire, Genex gets a good cross section of data and they can see if a bull will work for their lineup. Last year the bulls we used didn't end up making it into the lineup, so I didn't post too much about them here on the blog. But this year is going to be a different story, I think! In the H's we used McCoy, Thunder, Pioneer and a bull we call 1289. In the R's we used Montana & Chisum and in the big bunch we used Dominance, Insight, Chisum and Envision. We also AI'ed a smaller set of mature cows to Full Power and Impressive. I posted about the McCoy calves here - and they just keep getting better. They branded the H's a week ago, and Clint thought that the McCoy's looked even better than the Thunder's. Who knows what they'll look like at weaning, but if you're looking for a heifer bull to use this year - both of us would highly recommend McCoy. Today I thought I'd post a few pictures of calves from the cows over at Jack's in the big bunch. For convenience, I sorted them by sire below. Jack keeps his own calving book, so I don't know any of the calving data, but from talking with him I don't think he had any significant problems tied to birth weight. All of the calves pictured below had just been branded, and were 7 weeks old when I pictured them at the beginning of this month. The cowherd here is not registered, but records are kept like a purebred herd and the cows are primarily Angus/Sim-Angus bred. This group was also still on a full feeding of long hay when I took these pictures. The guy's favorite progeny are the calves out of Dominance. I like the Dominance calves a lot too, but I'm still kind of partial to the Insight calves. 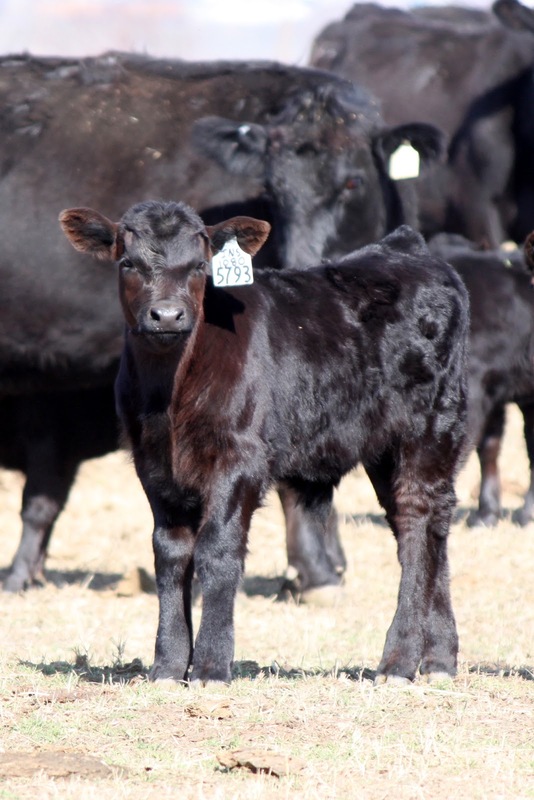 I think the main difference is the Dominance calves have the edge in stoutness/weight and the Insight calves are probably just a tick better phenotypically. 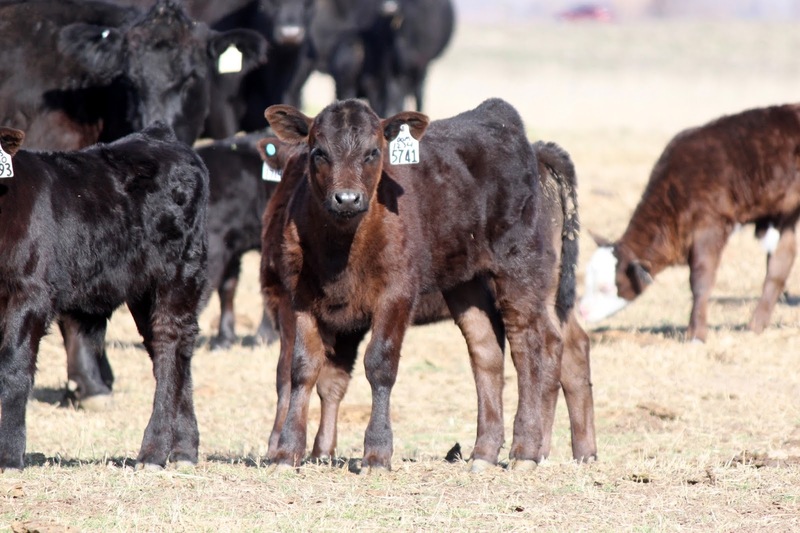 The Chisum calves are good too - and from what we've seen with Chisum calves in the past is that they really start to put on the pounds as they get closer to weaning. (See my post about the progeny test we did with Chisum and Full Power in the 2013 fall cows here and here.) 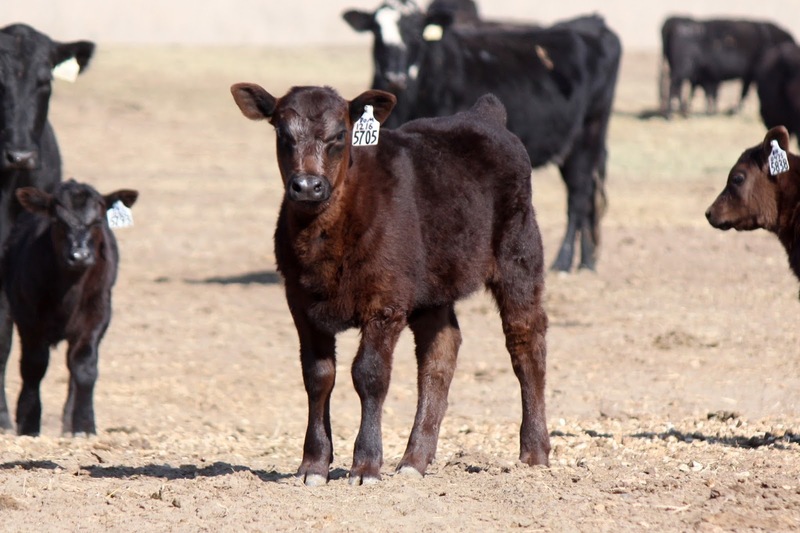 He may not sire the calves with the prettiest fronts, but if you're a cow calf guy who sells pounds at weaning time, Chisum is definitely a bull to consider. I didn't get a lot of pictures of the Envision calves. I think most of them are in a different group, but because of the way cows got sorted after breeding, there were a few in the bunch I pictured. They're long bodied, but not quite as flashy or commanding as the Insight and Dominance calves. If you're wanting to use AI in your program but just don't know how to get started - or have questions about the bulls mentioned above, we'd love to visit with you. Genex's Chuteside Service makes it easy to stand back, and let a qualified crew come in and take care of your AI'ing. You can tailor the level of involvement from a little to a lot, depending on your desire. If you want, leave a comment in this post and we'll be sure to answer any questions you have. Or you can send an email using the contact tab here. 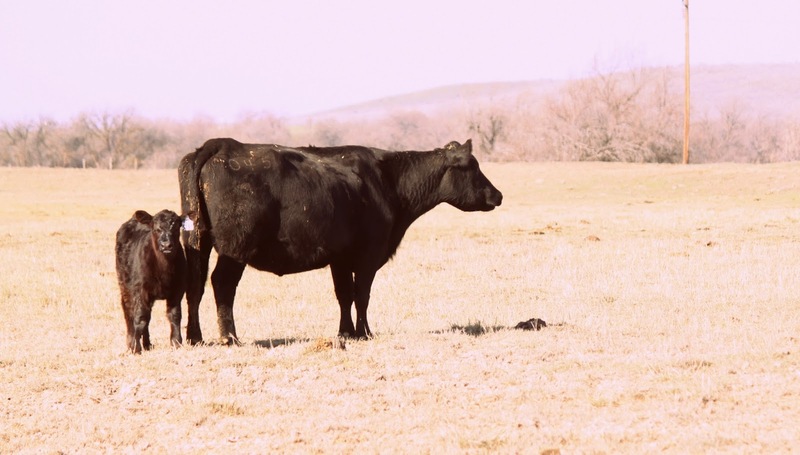 We want you to be successful with your cows & calves - and AI'ing is a great way to create that success. With AI, we've experienced not only lower dystocia and problems at calving, but increased weaning weights and quality of calves. And as always, success is reason enough!